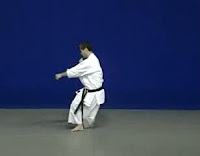 Tekki Shodan kata from Shotokan version performed by JKA instructor Osaka. 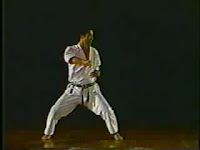 Tekki Shodan | Performer: Osaka | Source: The Nakayama Legacy DVD | Duration: 00:01:38 | Format: wmv | Video Size: 6,8 MB | Player: Windows Media Player or Media Player Classic. 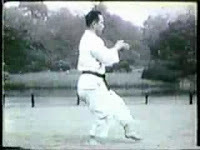 Unsu kata with bunkai from Shotokan version performed by ex JKA instructor Masatoshi Nakayama. 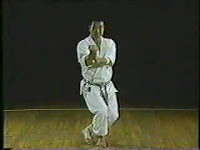 Unsu | Performer: Masatoshi Nakayama | Duration: 00:03:06 | Format: wmv | Video Size: 12,5 MB | Player: Windows Media Player or Media Player Classic. 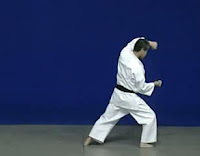 Bassai Dai kata from Shotokan version performed by JKA instructor Osaka. 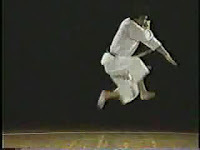 Bassai Dai | Performer: Osaka | Source: The Nakayama Legacy DVD | Duration: 00:02:36 | Format: wmv | Video Size: 10,7 MB | Player: Windows Media Player or Media Player Classic. 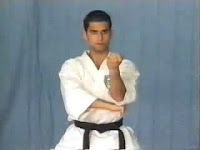 A tutorial of Bassai Dai kata with applications from Shotokan version performed by Luca Valdesi. 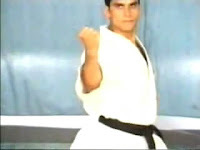 Bassai Dai | Performer: Luca Valdesi | Duration: 00:09:22 | Format: wmv | Video Size: 36,8 MB | Player: Windows Media Player or Media Player Classic. 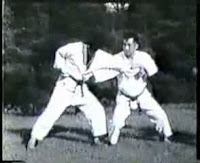 Bassai kata from Wado-ryu version performed by Hiroji Fukuzawa. 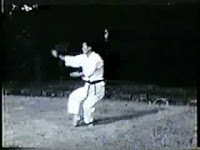 Bassai | Performer: Hiroji Fukuzawa | Duration: 00:01:20 | Format: wmv | Video Size: 5,5 MB | Player: Windows Media Player or Media Player Classic. 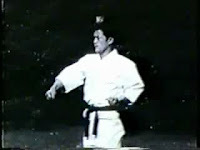 Niseishi kata from Wado-ryu version performed by Hiroji Fukuzawa. 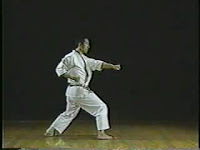 Niseishi | Performer: Hiroji Fukuzawa | Duration: 00:01:01 | Format: wmv | Video Size: 4,2 MB | Player: Windows Media Player or Media Player Classic. 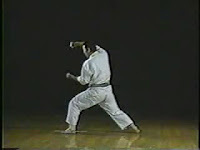 Rohai kata from Wado-ryu version performed by Hiroji Fukuzawa. Rohai | Performer: Hiroji Fukuzawa | Duration: 00:00:54 | Format: wmv | Video Size: 3,7 MB | Player: Windows Media Player or Media Player Classic. 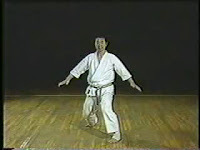 Wanshu kata from Wado-ryu version performed by Hiroji Fukuzawa. Wanshu | Performer: Hiroji Fukuzawa | Duration: 00:00:53 | Format: wmv | Video Size: 3,6 MB | Player: Windows Media Player or Media Player Classic. 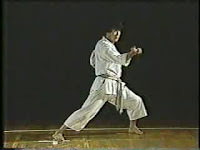 Annan kata performed by Azusa Tomishiro from Japan. 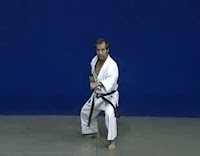 Fast and powerfull, a very good sample for advanced karate practitioner. 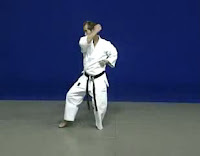 This kata performed in WKF tournaments (Finland) in 2006. 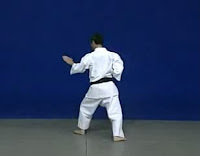 Annan | Performer: Azusa Tomishiro | Source: karate-do.co.jp | Duration: 00:01:55 | Format: mpg | Video Size: 19,1 MB | Player: Windows Media Player or Media Player Classic. 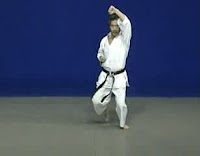 A tutorial of Tekki Shodan kata with applications from Shotokan version performed by Luca Valdesi. 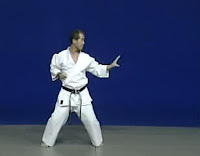 Tekki Shodan | Performer: Luca Valdesi | Duration: 00:05:54 | Format: wmv | Video Size: 22,9 MB | Player: Windows Media Player or Media Player Classic. 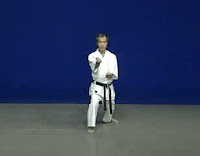 Preview of Niju Hachi Ho kata performed by SKIF Founder Hirokazu Kanazawa. 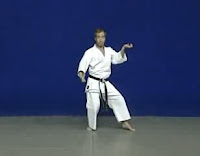 The movement and techniques in this kata taken from several kata such as Nipaipo, Kururunfa and Seienchin. 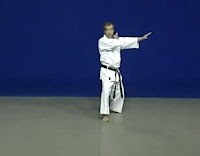 Also, the breathing from Tai Chi can be found here. 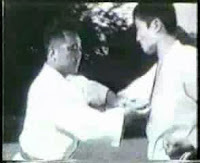 This kata neither from Shito-ryu and Shotokan, but new kata created by Kanazawa, after adopted from many. 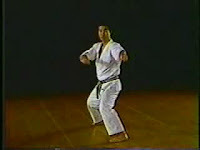 Nijuhachiho | Performer: Hirokazu Kanazawa | Source: Mastering Karate DVD | Duration: 00:02:31 | Format: wmv | Video Size: 10,4 MB | Player: Windows Media Player or Media Player Classic. 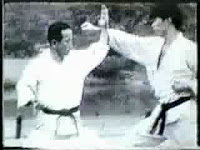 Jion kata from Shotokan version performed by Yuki Mimura. This video is courtesy of Champ, Tokyo Japan. 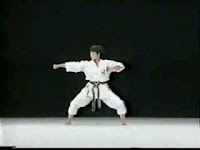 Jion | Performer: Yuki Mimura | Source: Champ Shop Japan | Duration: 00:01:24 | Format: wmv | Video Size: 4,5 MB | Player: Windows Media Player or Media Player Classic.